Blue Jean pulp is in sheet form and sold by the pound. Each sheet measures 32" x 21" and weighs approximately 1.5 pounds. Blue jean pulp can be processed in a kitchen blender or other form of mixer if a Hollander beater is unavailable. 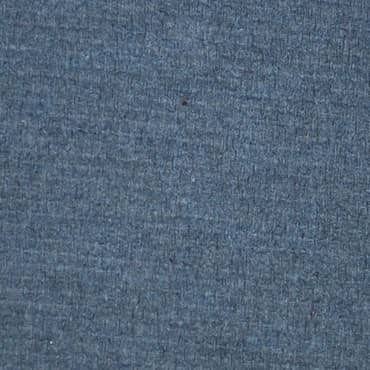 This pulp is made from 100% cotton denim thread, beaten in a Hollander beater, and then dried into sheet form. This makes wonderfully strong paper, and being already beaten, needs only soaking, and a quick run through a kitchen blender. This is a beautiful pulp; use it alone for indigo blue paper, or add a little to cotton or abaca.